Nature is filled with beauty, peace, curiosity, and wonder. There's beauty in every sunset, peace in the sound of rain or the waves on the beach, the curiosity of the bugs and animals, and how everything works and comes to be, and the wonder of the natural phenomenons you can find in nature wherever you seem to look. 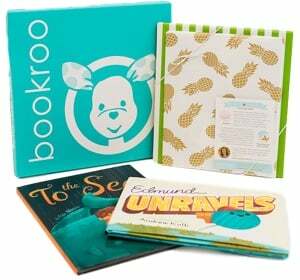 These books hold adventures, beauty, and knowledge of nature for little ones to learn, explore, and enjoy. This is an all-time favorite children's book for me. The artwork is stunning and the entire book is a fantastic celebration of our beautiful Earth. This is the first children's book by award-winning photographer Chris Burkard, and if you've seen his photography (@chrisburkard), it's no surprise that the message of this book is to take time to explore and enjoy beautiful moments. Children might not appreciate that important reminder as much as adults, but they'll love the pretty illustrations and the peaceful, calm of this book. The words are simple and direct, but that's part of what makes it powerful. The illustrations are friendly and approachable, yet absolutely gorgeous and the poetic (although not rhyming—that threw me off on the first read!) descriptions of love for a child are wonderful. "The stars belong in the deep night sky, and the moon belongs there too, and the winds belong in each place they blow by, and I belong here with you. So begins this classic bedtime book, richly illustrated by award-winning artist Isabelle Arsenault. The pages journey around the world, observing plants and animals everywhere, and reminding children that they are right where they belong. A beautiful title for new babies, adoptive families, and children of all ages. ----------- You are a dream that the world once dreamt, And now you are part of its song. That's why you are here, in the place where you're meant, For this is right where you belong." This book is a great way to introduce kids to the wide variety of landscapes and natural features they can see when they visit national parks. The illustrations are adorable, and the book highlights national parks all over the country. The idea of a train journey around the country is appealing too--I don't know any toddlers who don't love trains!